Justin Timberlake, a man who needs no introduction, released his newest album, “Man of the Woods,” on Feb. 2. The country-style, outdoors-themed album is a big disappointment to Timberlake’s music career. Timberlake wanted to express his gratitude for the outdoors on this record, but he made avid fans of his still feel as though nothing has changed to his superstar demeanor. Timberlake now wants to combine his two personas: the fresh-to-death party starter portrayed in his last album, “The 20/20 Experience,” and the rugged, bearded mountain-man. Producers Timberland, The Neptunes (Pharrell Williams and Eric Hugo) and Timberlake himself composed “Man of The Woods” by throwing random, incoherent ideas at the drawing board to see what would stick. As a result, “Man of the Woods” came out to be one hour and six minutes of a grueling 16-track album. The first song on the album opens with “Filthy,” as Timberlake starts off the song with the lyrics, “If you know what’s good/ Haters going to say its fake” over a repetitive dubstep beat that takes a slight variation around the four-minute mark of the song. Along with a superfluous baseline that follows the same dubstep beat, the resulting sound makes the song awkward, bland and unoriginal. The song is supposed to capture Timberlake’s seductive side, which shouldn’t be news to anyone at this point since Timberlake has been singing about the same party he’s attended on every single one of his albums. Can you even blame the “haters” at this point? Even if the song remotely matched the theme of the album, it’s still one of the most idea-bankrupt pop songs an artist has put out in a while. 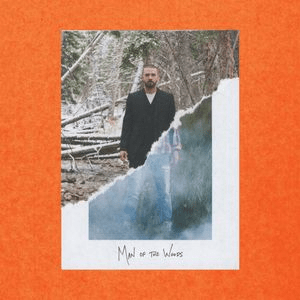 About half way through “Man of the Woods,” Timberlake starts to make his country folk influences known while refusing to let go of his already known party anthem approach to writing music. Listening to songs like “Say Something,” “Flannel” and “Montana” is an attempt that, frankly, shouldn’t have been made in the first place, combining folk-country with party-anthem music. The songs “Sauce” and “Breeze Off the Pond” display their bland outlook on funk, as each song exhibits the same guitar rhythmic patterns and fuzzy distorted bass. This is a questionable choice to team with two producers who are known for funk pop on a country inspired album. The song “Hers (Interlude)” is just as unbearable. Sappy piano chords are played over Jessica Biel’s cringe-worthy spoken word poetry about wearing her man’s baggy shirt, comparing it to feeling like his skin. Overall, more appreciation would’ve gone into this review if Timberlake actually followed through on his initial plan of trying something new and expanding his narrow outlook on songwriting.